The average glove will unravel under the unique stress of MIG/TIG welding. This high-quality glove is sewn with high-grade Kevlar® thread that will survive the intense hazards while maintaining dexterity and precision. 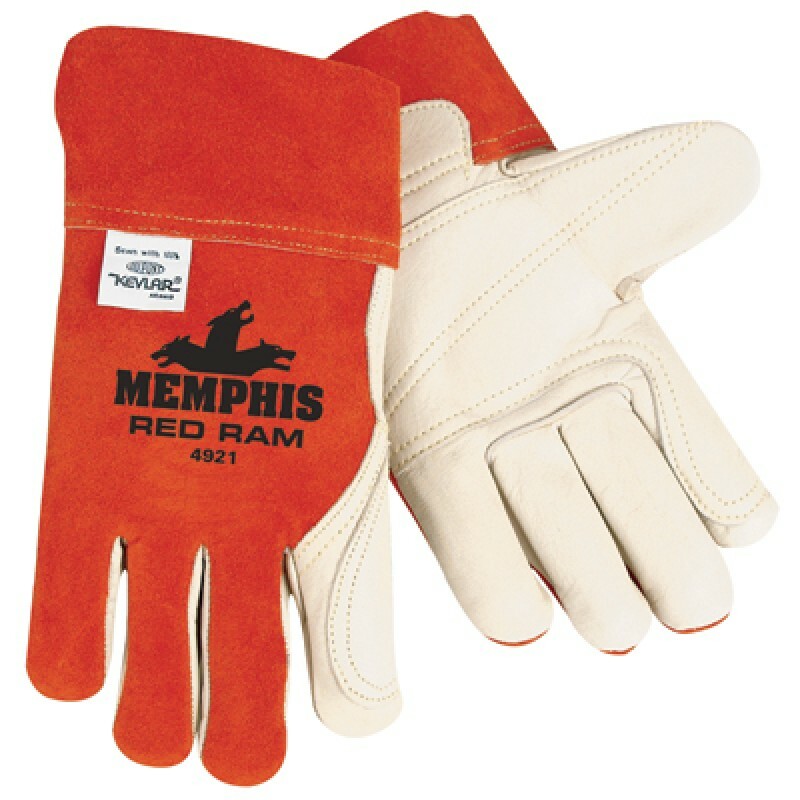 The Red Ram by Memphis Glove is designed for the Mig/Tig welder needing greater dexterity and control. The Red Ram welding gloves are made of premium grain split leather. Sewn with DuPont flame resistant super-strong Kevlar thread. Clute pattern with a straight thumb design. Ideal for welding and heat applications, plus all general purpose applications requiring heat, flame or spark protection.